Power over Ethernet (PoE) is increasingly employed as one of the essential power features of the network switch. These peripheral devices that are installed between switches and devices in the network. Growing usage of PoE in industries due to its various advantages is expected to increase the acceptance of Ethernet cables. The industrial wireline networking market report helps the readers to discover the prevailing trends in the market and estimate future opportunities in the coming future for extensive growth. It includes fresh data for outlining growth opportunities and some threats to growth. It includes the information on threat on competitive levels, which is an important part of the industrial wireline networking market report. 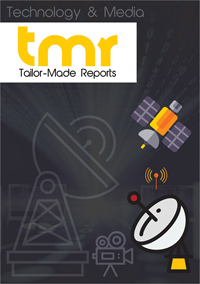 Also, the industrial wireline networking market reports investigates the growth rate, revenue share, status, future trends, market drivers, opportunities, and challenges. Industrial Ethernet is observed as the fastest-growing technology especially in the field of communication systems. This technology is considered as the core of industrial networks. Additionally, growing advancements in speed, bandwidth, and reliability of IoT devices is prime reason driving growth of the global wireline networking market. Some of the leading companies operating in the global industrial wireline networking market are Belden Inc., Emerson Electric Co., Cisco Systems, Inc., Hitachi, Ltd., Rockwell Automation, Inc., and Moxa Inc. Various firms are working on effective business strategies to augment the demand in the market. Growing adoption of industrial internet of things (IIoT) is one of the key factor driving growth of the industrial wireline networking market. The employment of IIoT systems allows industries to analyzes, collect, and exchange data physically through devices. thus adoption of the industrial wireline networking is growing which in turn is propelling growth of the global industrial wireline networking market. Additionally, industrial Ethernet has gained popularity in numerous end-use industries for connecting devices with software, sensors, and hardware. It meets the connectivity requirements as it offers standard network platform. This also helps to build a connectivity-enabled business strategy. Thus, the demand for wireline networking solutions is expected to drive growth of the market in the coming years. Additionally, availability of Ethernet in numerous industries is also driving growth of the industrial wireline networking market. It also runs on multiple real-time which is capable of protocols in a single network. Furthermore, it improves performance by using unification of networks. This is a key factor driving growth of the global industrial wireline networking market. However, the growing demand for wireless communication is leading to create a challenge for growth of the global industrial wireline networking market. additionally, growing wireless networks are posing as a challenge for the growth of the global industrial wireline networking market during the forecast period. Regionally, the industrial wireline networking market could be segmented into North America, Europe, Asia Pacific, Latin America, and the Middle East & Africa. Of these, North America is expected to be dominant region in terms of revenue, demand, and consumption over the forecast period. This growth in the North America is attributable to the highest industrial wireline networking market. The growth of end-user industries including oil & gas, food & beverage, and automotive is one of the major factors responsible for the growth of the global industrial wireline networking market.